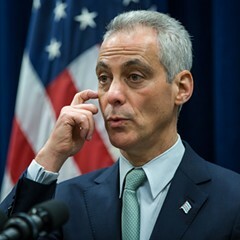 The third week of July was a busy time for Mayor Rahm Emanuel—he was working with police brass to reassign cops, announcing a competition between city workers and private firms to provide recycling pickup, and, of course, battling teachers over implementing a longer school day. 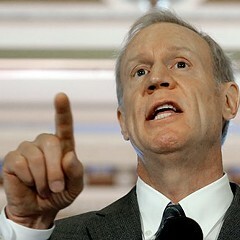 But he still found an hour to slip away for breakfast at the exclusive Chicago Club with a couple of millionaire bankers—Bill Downe, the CEO of the Bank of Montreal, and Mark Furlong, the CEO of Harris Bank. That might not seem like much time. But it amounted to one of the longest meetings of the week in the dusk-to-dawn schedule of the mayor who can't sit still. 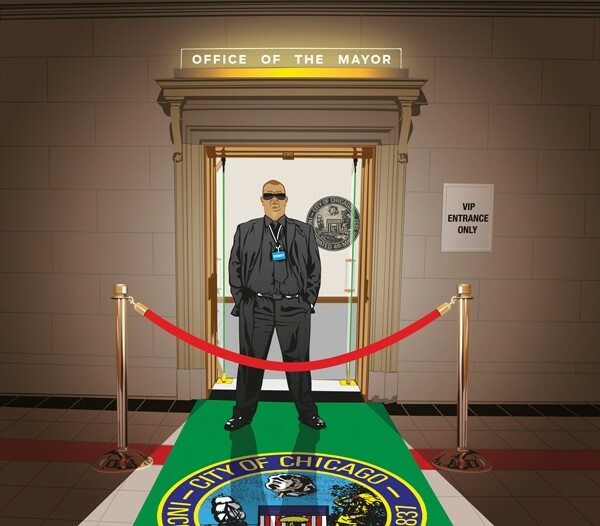 »Unlike Rahm, the former mayor met with the moneyed and the middle class alike . 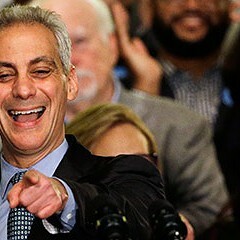 In fact, Downe and Furlong are the kind of guys Mayor Emanuel often makes time for: rich, influential, and frequently at odds with organized labor and other progressive groups that historically made up the base of Emanuel's Democratic Party (see "Rahm's A-List"). Downe earned more than $10 million last year, landing a 28 percent raise during a period of economic stagnation, and Furlong made $24 million when Harris Bank took over Marshall & Ilsley, the bank he led previously. While Downe has largely steered clear of party politics, Furlong has donated money to Wisconsin governor Scott Walker, a Republican who made headlines this year for ending the collective bargaining rights of state employees. 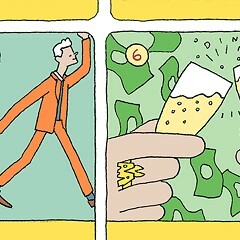 What Emanuel and the bankers discussed is anybody's guess—none of them would comment for this story. That's also the case with dozens of other, similar meetings Emanuel held with business elites over the summer. These meetings are not listed on the mayor's official public schedule disseminated daily to members of the media, which includes scripted press conferences in neighborhoods around town. Instead, they're buried in the mayor's in-house calendar, which details nearly every minute of his working day, including the people he sets aside time to meet with or call on the phone. Over the summer we submitted a Freedom of Information Act request for copies of the mayor's in-house schedule. After months of haggling, promises, and delays, city officials provided copies of the schedule for June, July, and August. In contrast, President Barack Obama regularly posts the monthly meeting logs for all White House visitors, letting the public know who's visiting whom, at what time, and even the room where they met. 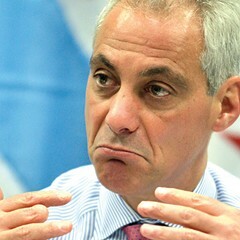 That means it's easier to determine who Emanuel met with when he served as the White House chief of staff than who has access to him as mayor, despite his promise to bring "unprecedented transparency" to City Hall. 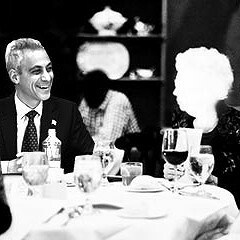 What the mayor's staff did release offers a revealing snapshot of Emanuel's style, starting with who gets face time in the inner sanctum of his fifth-floor office or in his favored cafes, restaurants, and nightspots around town.